Sharon Hobenshield is from the Gitxsan First Nations on her mother’s side and her father is of German ancestry. She has a B.A., B.S.W. and a Master’s of Education in the area of curriculum development. She has worked in the field of social services and education, working and teaching with both urban and rural Aboriginal communities throughout the province of BC. Sharon is married and has twin girls. She believes strongly in the spirit and resiliency of Aboriginal people and promotes that Aboriginal ways of knowing and being in this world, have to be built into program development and service delivery in education. Sylvia Scow is from the Dene Nation. Her home community is Liidli Kue (Fort Simpson), Northwest Territories. She received her Bachelor of Arts in Sociology and a minor in Anthropology from the University of Victoria. In June 2000, she completed her Masters of Arts in Leadership and Training from Royal Roads University. Sylvia is married with two children and has worked in post-secondary education since 1991. Emmy Manson is a member of the Snuneymuxw First Nation living and raising her family in her territory. Emmy has a Master Degree in Social Work and BSW from UVic. Emmy started her educational journey at VIU and obtained a Human Service Diploma. Emmy is very family focused and likes to share her passion for promoting lateral kindness to herself and others. Rob Depriest is a descendant of Anishinaabe/Algonquin peoples; wolf clan. Rob holds a BSW from UVic where he is currently completing a Masters degree in Indigenous Social Work. Additionally, Rob holds a Social Service Worker diploma and is a certified Life Skills Coach. Rob has served Indigenous communities since 2005 and has worked in the field of Indigenous post-secondary supports, student leadership, career development training, and wholistic counselling services since 2011. Tasha Brooks is from the Cowichan Tribes. She holds a Master of Business Administration and Bachelor of Business Administration from VIU. Tasha is currently working on a Doctorate and hopes her research will contribute to Indigenous Education. In her free time she likes to hike, workout, and listen to audio books. Sherry McCarthy is from the Mowachaht/Muchalaht First Nation in the Nuu-Chah-Nulth Territory. Sherry started her educational journey at VIU as an ABE students and obtained a Diploma in Business administration, a Bachelor of Business Administration with a concentration in Human Resource Management, a Master of Business Administration and a Master of Science in International Business from the University of Hertfordshire. Sherry is passionate about helping the indigenous communities, and promoting education as a tool for success. Pam Botterill joined the team as Aboriginal Outreach Coordinator in October 2014. Pam has a Masters in Professional Communication, as well as over 23 years of experience at VIU. She brings expertise in contract management including financial management, communications, and marketing to the team. Pam will engage with VIU’s internal and external communities to deliver relevant programs and services that meet the needs of Aboriginal learners and their communities. Pam is from the Wei Wai Kum First Nation but grew up in Powell River and has made Nanaimo her home since 1977. Sheila Cooper’s background is in Adult Education and she holds a B.A. in Psychology and a Masters of Education in Curriculum Design and Instruction. Since 1990, Sheila has connected Vancouver Island University to community through her work in the field of continuing studies and contract training. Sheila to engages with Aboriginal communities and organizations to develop programs and services that provide flexible educational options to accommodate the changing needs of Aboriginal learners and communities. Sheila is married with two adult children that are both passionate about the arts. Janet Sinclair has ancestry from the Tutchone First Nations on her mother’s side and her father is of Scottish ancestry. She has a B.A. in Psychology, a Certificate in Teaching & Learning in Higher Education, a Certificate in Theological Studies, and a Master’s of Arts in Counselling Psychology. She has worked for over 20 years in the areas of career counselling, life coaching and facilitation and teaching. Janet is married and has five children and four grandchildren. Janet’s passion is helping people find their passion and in recognizing Indigenous ways of knowing and being, through portfolio development. Zahra Remtulla is originally from Ontario and has lived in BC since 2012. She has a Masters in Public Health and Bachelor of Arts in Public Policy. She has most recently been working in Aboriginal education, Aboriginal mental health research and evaluating children's nature exploration programs. She is currently living in Vancouver and loves spending time outside exploring and hiking in the mountains. Tania Smethurst is the newest member of the Aboriginal Education and Engagement team. Originally from Ontario, her ancestry is Scottish and Irish; and she has lived learned and played in both Kwakwaka'wakw and Coast Salish territories for all of her adult life. Tania has a Master’s degree inDevelopmental Psychology, and is a proud alumnus of VIU’s psychology department. Her background is in the field of Aboriginal health promotion, and wilderness therapy. She is honoured to have the privilege to be the Indigenous Portfolio Coordinator for the office, and work with students on their educational paths in life. Tania has a partner and a young daughter that is always teaching her about the beauty of life. Tania is passionate about empowering people to feel inspired in their lives, and the lessons one can learn while spending time in nature. Thank you to the Snuneymuxw peoples for allowing us to spend our days in your territories. Karen Baxter is from the Gitxsan First Nations and is a Kispiox Band member. Not growing up in her birth family, Karen has always been interested in the First Nation/Canadian relationship which led her to take her B.A. in First Nations Studies at VIU. Karen believes in life long learning and enjoys her work at Vancouver Island University. Karen is married with three children and five grandchildren. Zoë Nash has happily assisted with the Aboriginal Education and Engagement since June 2016. A life-long learner, Zoë is also a VIU student, working on a Bachelor of Arts (Psychology Major, Media Studies Minor), with strong interest in Film and Creative Writing. 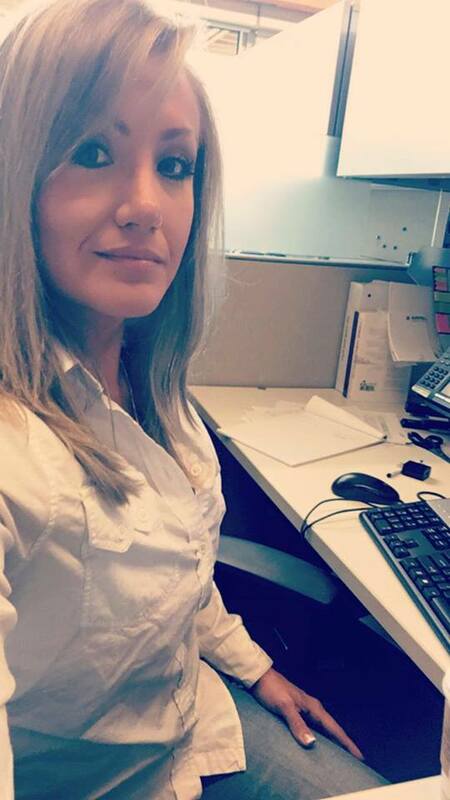 Heather Burke is Métis from the Red River Settlement and is a member of the Métis Nation BC and the local Mid-island Métis Nation. Heather has traveled extensively promoting education in many First Nations in BC and nationally. She is passionate about providing tools for success to Aboriginal Learners interested in pursuing higher education. She has a Bachelor of Arts in Creative Writing from Vancouver Island University and loves blogging, being in nature and practicing yoga. Dale Hunt is a member of the Kwakiutl Nation and a proud descendant of the Kwakwaka’wakw people. I completed a Bachelor of Arts with a major in First Nations Studies at Vancouver Island University and then went onto to complete a Master of Arts in Alternative Dispute Resolution from the University of Victoria. I truly enjoy being a part of the community at this university. I am married, have two children and been working at VIU since 2006 in a variety of service departments. I am truly thankful to be a part of the amazing community here at VIU. Gilakas’la! Jennifer Christoffersen (Shade) is a descendant from the Laich kwil Tach Nation and a proud member of the Wei Wai Kum Band. I completed the First Nations Child and Youth Care Diploma, and have a Bachelor of Arts in Child and Youth Care degree from Vancouver Island University. I then went on to obtain a Masters of Arts in Interdisciplinary Studies, specializing in Indigenous Governance, Law and Sociology at the University of Victoria. I am married, have one son and have worked at Vancouver Island University since 1998. Gilakas'la. 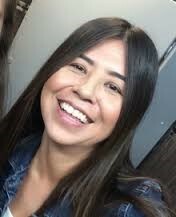 Sharon Buchanan (nee McNeil) is from the Tsimshian Nation and a member of the Kitsumkalum Band on the North West coast of British Columbia on my mother’s side; and, Irish, Scottish, English and French on my dad’s side. I acquired a First Nations Family Support Worker Program certificate from Camosun College and the Saanich Indian School Board. After working as a First Nations Education Assistant for many years I went back to school and graduated from Vancouver Island University with the Applied Business Technology Program certificate and shortly thereafter, started my career with Vancouver Island University. It is my pleasure and a privilege to be working as Faculty and Student Support Assistant with Services for Aboriginal Students.